At a national level, the number of people facing a delayed transfer of care (DTOC) from hospital are continuing to improve. Figures just published for November show that delays fell by 6% between October and November, and have fallen by 22% since February 2017 (February performance was used as a baseline when the DTOC target was set last summer). Social care saw a significant improvement in November, with delays attributable to local councils falling from 4.5 days to 4.0 days, (an improvement of 9%). NHS delays fell by less than half this in percentage terms, from 7.2 days to 6.9 days (an improvement of 4%). Some 59 out of 150 areas of England worsened between October and November. 20 local areas are of extreme concern – Government expectations were not being achieved in February 2017, and performance has deteriorated even further since then. Within some areas there is variation in performance across health and social care. It is still the case that over a third of areas are seeing DTOC attributable to the NHS improve/deteriorate, but DTOC attributable to local council-provided social care deteriorate/improve. 2. Winter is upon us, and we have seen nationally reported increases in emergency admissions of 4.5% from December 2016 to December 2017 – and many fear that the January numbers will be higher. More people in hospital beds is likely to result in an increased demand for services at the point of discharge. A sticking plaster approach to DTOC – one which simply tries to meet the DTOC target but without trying to deal with the root causes of the issue – isn’t sustainable. gets to the heart of the relationships between and among different professional groups, and with the patient. That doesn’t mean that we shouldn’t be looking at applying principles of good process and programme management – but by itself this is not enough. Through our IMPOWER Collaborative we are starting to collect evidence of where successful transformation at the interface of health and social care is being achieved. 1. Demand: We must work across health and care systems to tackle demand, including emergency admissions at the front door of the hospital, out in the community, in primary care and in care homes. Demand lies at the cornerstone of every STP or ACO plan. We should use data to identify and address cohorts of people across health and care admitted from certain locations (e.g. care homes) or for certain avoidable conditions (UTIs), and do so without delay. 2. Patient Activation: We have to set aside the view that ‘the doctor knows best’, and deploy a strengths-based approach to interactions with patients and carers. This must be rooted in using community assets, personalisation and maximising independence. 3. Service Offer and Capacity: We must create a robust and resilient local intermediate care offer which supports a discharge-to-assess-model as well as admissions avoidance. Emphasis should be placed on understanding the relationships between commissioners and providers to establish how the local market can be commissioned flexibly and efficiently, so that capacity and supply are available at the right time and in the right place in the community. 4. Working across organisational boundaries: We have to work across health and care (and wider services) towards a collectively agreed set of solutions. That requires us to overcome many barriers. 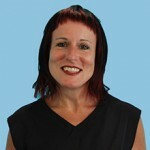 Not only are there different belief systems and differential views of risk, but often the basic building blocks (such as joint assessments, joint discharge teams, shared patient records, pooled budgets and clear lines of management accountability and responsibility) are not in place to allow pressured front-line staff to work effectively. We should also not forget that at the heart of this issue there are real people. Our obsession with targets, organisational metrics, and the variations in practice between professional groups, across organisations and individual teams is getting in the way of doing the right thing – for my mother, your brother or your gran – and they deserve better. 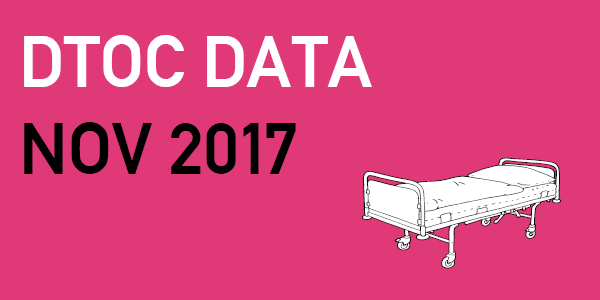 Check out our analysis of the November figures – for England overall and at local authority level – by downloading the file below. The problem of DTOC has basically been addressed, but the problem of demand most certainly has not.